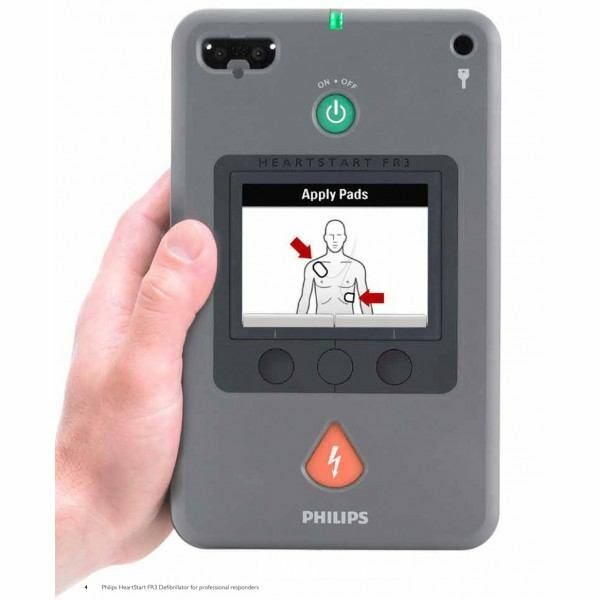 The Philips HeartStart FR3 is Philips’ newest and best professional-grade AED. 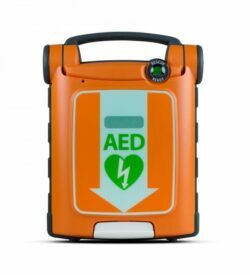 It weighs in as the smallest and lightest (3.5 lbs, l.6kg) professional AED on the market, while still maintaining a rugged and reliable design. The features that make the FR3 unique and competitive fall within 3 categories: Faster, Easier and Better. Faster: The FR3 reduces the deployment time by automatically powering on as soon as the carrying case is open. This allows the professional to move quickly to pad placement. The pads are pre-connected peel and place SMART Pads III. There is no pouch to tear open, which allows the medical professional to begin care more quickly. Quick Shock reduces CPR interruptions and enables the shock to be delivered faster. The same SMART Pads III for adults and children allow the device to move rapidly between adult and child-specific use. The Infant/Child Key automatically decreases the defibrillation therapy to operate with the configured infant/child protocols. 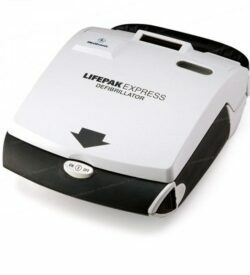 Easier: The lightweight feature makes the FR3 easy to carry along with another necessary emergency medical equipment. 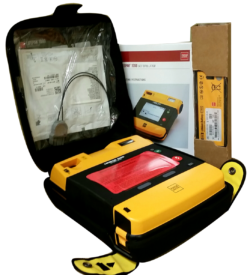 The high-resolution color LCD is easy to read in a noisy environment. 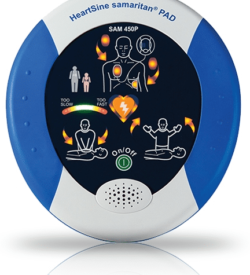 The device performs automated daily, weekly and monthly self-tests, including pad integrity, and provides both visual and audible alerts when required. Protection against dust and jetting water adds to the durability and flexibility of this device. A green visual indicator flashes to confirm the device is ready. The FR3 has a bilingual configuration. The long-life battery can deliver 300 shocks or 12 hours of monitoring. During CPR, the metronome keeps the beat for correct chest compression delivery. SMART Pads III are compatible with the FR2 series to allow standardization within your program. Better: Data management solutions allow and support continuous improvement in reviewing, annotating, printing and storing AED events. There is a more in-depth assessment of responder intervention and patient response to Review Pro. Patient data flow according to your desired workflow using your existing infrastructure.